We love to cook, but are also trying to do better for our refueling options as we are whipping ourselves back into shape. This app does not disappoint. The recipes are original and you will experience flavor combinations you probably would have never even thought to combine. We are truly amazed and happy how exhilarating cooking healthy can be. 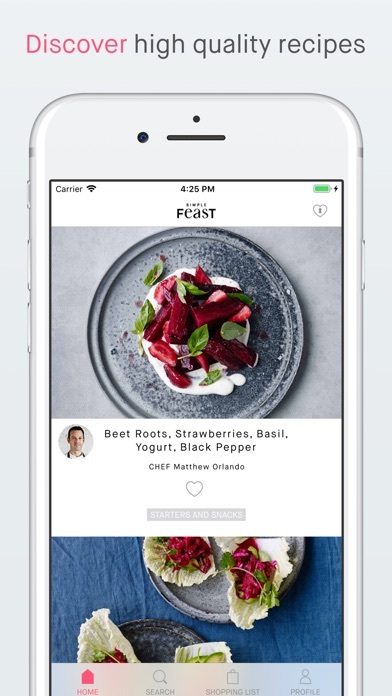 This is the perfect app to discover your healthy side to meals that will satisfy your senses. Really enjoying the smart accessibility of this app. It is very handy to have hyperlinks to video techniques within the steps of the recipe. This is my new fav food resource. Truly don't know what I did before. #awesome! The title says it all. When you first go there, it's fun to read through the recipes and then give them a try. 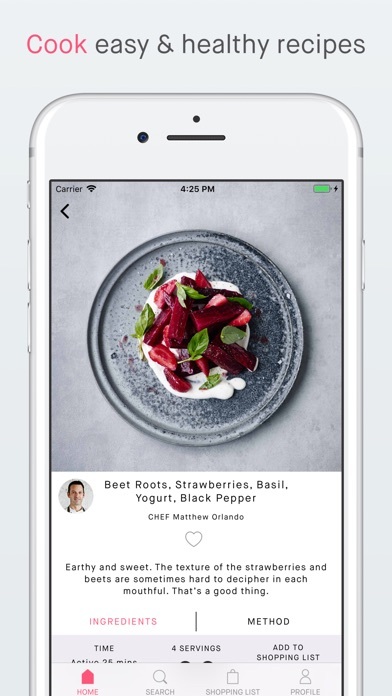 However, I find very little updating with new recipes even after not opening the app after several months. Sadly, I'll be canceling my paid subscription after high hopes. Loads of recipes to try out!! I'm a college student who loves to cook for her family. This app suits my urge to cook almost every time. If you want all the recipes, you gotta pay for it though. Very high quality recipes. Definitely worth the extra $ for the premium account! I love this app. It is a little pricey, but totally worth it to assist you with your foodie life. 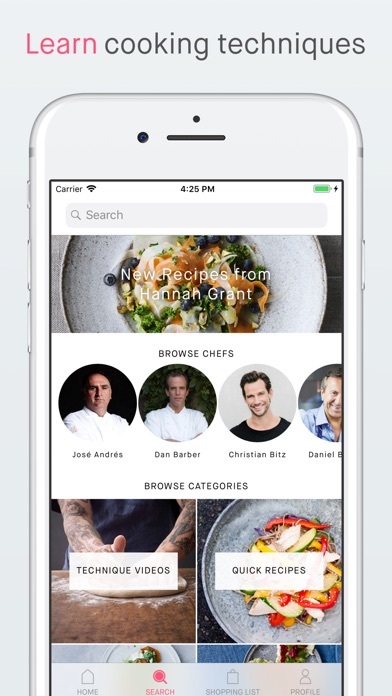 You get menu categorization, pictures, video techniques, automated shopping lists, and everything interfaces properly all in one app! Thank you 🥘 🥗😻! Love this app! Great recipes, incredible variety, I love that you can see what ingredients you need at each step. 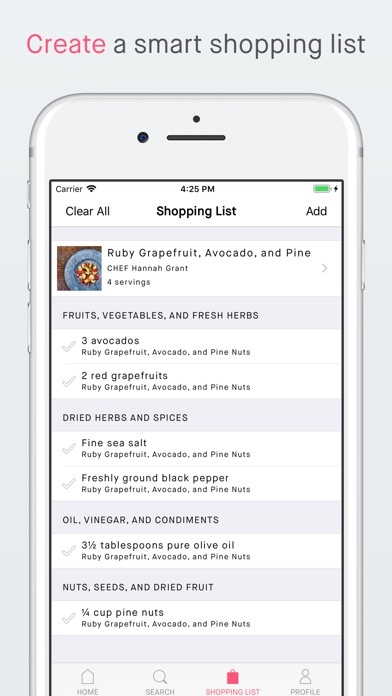 I also love the shopping list feature! I use this every time I cook!